A nature-lover’s retreat, the Lake District vacation rentals are tucked away on the north side of Western Lake among native landscaping and gorgeous vistas. Quick access to the Boathouse and other amenities is as easy as a short walk or bike ride across the beautifully-crafted and scenic pedestrian bridge. This stunning home is located just minutes from WaterColor's much-loved "Frog Pool" and very near the community's many other amenities. You'll love exploring this laid-back community and discovering the treasures within. Located only minutes from the beautiful white sand beaches of the Gulf of Mexico, 28 Beachberry Lane is an amazing 5 bedroom home in the Lake District of WaterColor, which comfortably sleeps up to 14 people. 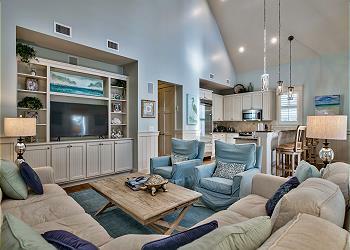 Relax on your next beach getaway at 235 Scrub Oak Circle. This stunning Lake District home is a quick bike ride to the Gulf, Community Pools and many other WaterColor attractions. 90 Scrub Oak Circle, is an impeccable WaterColor home with the Frog Pool only one block away. Brand new construction in Watercolor Lake District! Professionally decorated 6 bedroom/ 6.5 bathroom home! 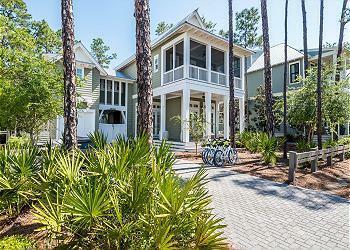 Escape all your worries and find yourself in a peaceful paradise when you stay at 63 Sand Hill in WaterColor. This impressive 5 bedroom, 5.5 bathroom home is impeccably decorated and can accommodate up to 11 guests. Have the luxury vacation you deserve and plan your next stay at 93 Vermilion Way in WaterColor's Lake District. This 6 bedroom home offers a private pool and gorgeous views of Western Lake. Check availability and book today! 92 Needlerush is a stunning 4 bedroom, 4.5 bathroom home tucked away in WaterColor’s Lake District. Enjoy all of WaterColor’s amenities including five community pools, walking paths, biking paths, shopping and dining! Book with 360 Blue today! This brand new professionally decorated home is a perfect family get-a-way. 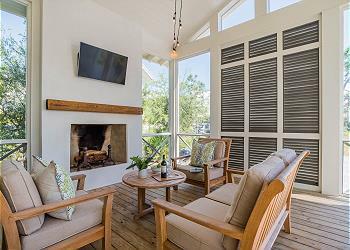 Enjoy your next WaterColor getaway at 11 Bluejack! 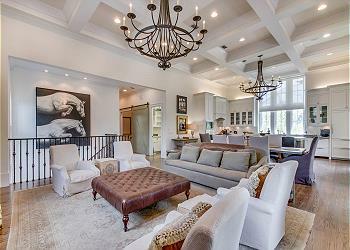 This lovely home accommodates 11 guests and is sure to impress the whole family. 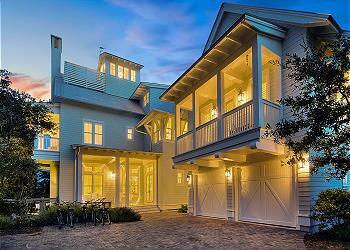 142 Cove Hollow is a 5 Bedroom, 4.5 Bathroom home in Watercolor's Lake District. Enjoy its close proximity to the Frog Pool. 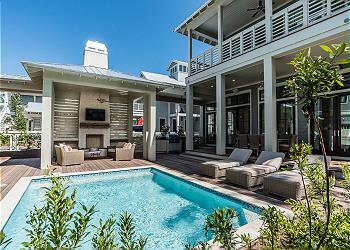 Spend your next beach getaway at 82 Vermillion in WaterColor. This 3,621 sq foot, 5 bedroom home offers the perfect ambiance for a little R&R. 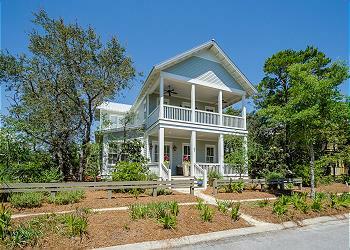 Enjoy the space and luxury of this gorgeous, three story WaterColor vacation home that offers everything you need for an idyllic beach getaway. Take a dip in the private heated pool waiting in the back yard! 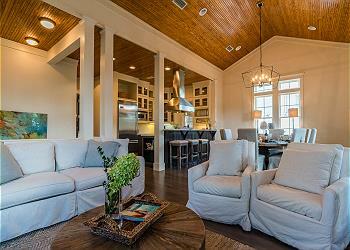 146 Bluejack is a newly constructed 5 bedroom/4 and 2 half bath home in the Lake District of WaterColor. This professionally decorated home has brand new furnishings and fixtures throughout. Amazing outdoor porch! Beautiful professionally decorated Lake District home. Open concept kitchen, living and dining room. First floor features two king suites. Off the back of the house is a fire place and dining area perfect for outdoor entertainment. 290 Cove Hollow is a beautiful home, with lake views in the sought after Lake District of WaterColor, making this an unforgettable vacation location! 120 Flatwood Street is a magnificently stately home, with its architecture and special features, making this an unforgettable vacation destination! 198 Bluejack Street is a beautiful home, in the Lake District of WaterColor with a private pool, making this an unforgettable vacation location! It's easy to see why this luxurious professionally decorated, 4 bedroom / 4.5 bath home in the Lake District is one of the nicest and most requested homes in WaterColor. Browse photos and see for yourself! This gorgeous new construction home is located in the heart of Watercolor’s beautiful Lake District. With 5 bedrooms and 5.5 baths and ample outdoor space, this home is the perfect destination for you and your family. This beautiful home, complete with 5 bedrooms plus a bunk room and 5 and a half baths, is sure to be your perfect vacation retreat! 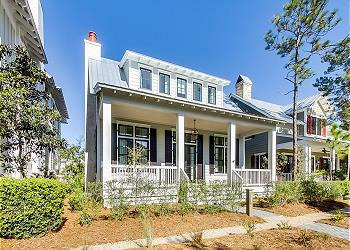 78 Bluejack is a stunning three story home located in WaterColor's charming Lake District. This 5 bedroom, 5.5 bathroom abode boasts a private pool and sitting spa, a spacious back deck with an outdoor fireplace and TV and fabulous amenities! 51 Mistflower Lane is a 4 bedroom plus bunk room, 5.5 bathroom WaterColor home located close to the Phase 3 bridge. This lovely abode is steps away from the Frog pool and Boathouse pool, and a bike ride away from the beach.